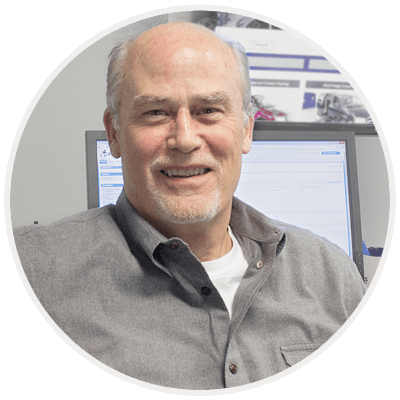 As one of the first dealers to sell wheelchair vans online, directly to the customer through our Internet sales program, AMS Vans has perfected the process, and our customers couldn't be happier. You'll be able to stay at home in Edgewater, Florida, and work with an AMS Vans mobility consultant, who will help you choose the right handicap van for your needs. When the paperwork is complete, you can have your adapted van delivered to your home or office in Edgewater, FL, including cities like Orlando, FL, in as little as 24 hours. Our professional driver will haul your wheelchair van on a car carrier to anywhere in the Edgewater, Florida area, including surrounding cities such as Orlando, Florida, in as little as 24 hours. To save money, just pay us a visit in Atlanta, GA, to pick up your adapted van in person. You'll most likely qualify for a discount on the purchase price when you travel to us from Edgewater, FL. 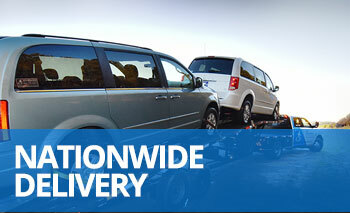 With every delivery or local pickup, we offer our signature "White Glove Service." It's your opportunity to spend time with a mobility professional who will answer any questions you have, give you some pointers, and show you how to use the features installed on your AMS Vans handicapped minivan. Before we leave, we'll be sure that you're comfortable operating everything on your van on your own. You're fully protected by our satisfaction guarantee, in effect at every delivery and pickup. If, for any reason, you're not happy with your wheelchair van upon delivery, we'll return it to our office, end the sale, and process your refund. At your request, you can have an independent assessment of your wheelchair van before you make a decision. We'll meet you at any mechanic you choose in the Edgewater, Florida area, and wait with you while an inspection is completed. The AMS Vans handicap minivan is among the safest wheelchair vans on the road. We leave the vehicles's rocker panels untouched to give greater stability and endurance while driving. Our innovative wheelchair van conversions maintain existing base-van factory warranties, and we have great warranties on both the ramps and conversions. Our used wheelchair vans must pass a rigorous 134-point inspection to become Certified Used vehicles before being added to our inventory. Talk with an AMS Vans consultant at 800-775-VANS (8267) to learn more about our handicap vans and the difference they can make in your life. We'll pick out some handicap vans for sale that meet your requirements for you to consider. When you find the one you've been looking for, we'll process the paperwork while you stay home in Edgewater, Florida. Join the thousands of satisfied owners of our wheelchair vans and have mobility independence delivered to you in Edgewater, FL soon.